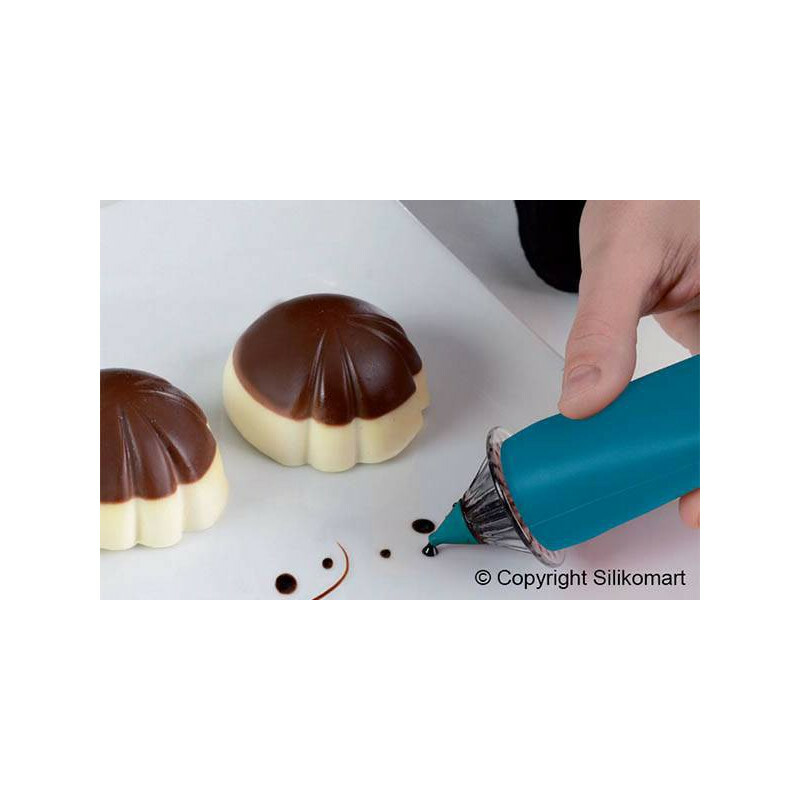 The decorative pen is practical for the decorations of cakes with liquid chocolate, creams and liquid mixtures. 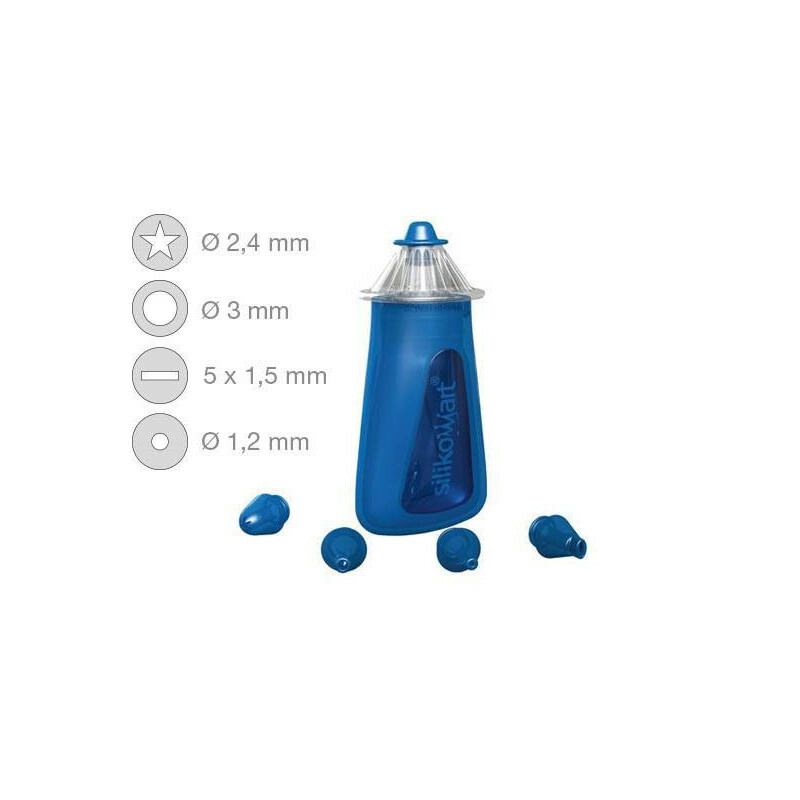 It is composed of a silicone body, four plastic decorative tips and a cap, suitable to realize the most precise details. The body can be removed and washed separately with the other components in the dishwasher. 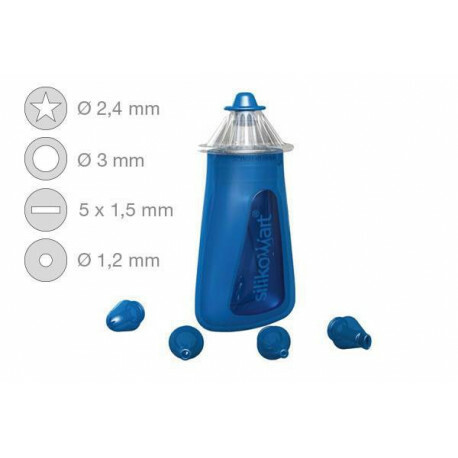 It is a product made of high quality silicone, and high quality plastic. Size: 3,46 x 2,14 x 1,81 inches. Volume: 1,85 - 2,02 oz.